my relative who worked as a tech in the 70's calls it whale sperm. the first time he told he asked for that while working on a rear I had to stop and double check that I herd that right and he laughed and told me. Sperm whale oil. When Sperm whales became protected, the formula had to change. Last edited by MikeM; 04-09-2019 at 07:30 PM. A month or so ago a guy had a case of it for sale somewhere online; it wasn't all that expensive, as I remember. I guess if you have a lot of older cars like the gentleman I bought my '66 from, buying a case of whale oil makes sense if you wish to use it in those cars. Most of the internet engine oil conversations you read are full of myths, misinformation, and marketing hype. It you want FACTS and a logical way to make a decision, search for threads started by me, download and read the engine oil pdf. You might even consider giving a copy to your mechanic. I think the name "whale sperm" was from the fact that the little four-ounce bottle was so expensive. Prior to the USA outlawing whale products in the 1970s the Positraction additive was some form of whale oil, but I'm not sure what species. There was also some in the old Type A Suffix A ATF. So the industry had to develop a synthetic substitute, which is probably a good thing because oils from living things like whales and castor beans break down much more rapidly at operating temperatures than synthetics. Last edited by SWCDuke; 04-10-2019 at 10:45 AM. I have been using Penn Grade 1, which is the old Kendall GT and Brad Penn oil. It's had several name changes but is still called the "original green oil". I have verified by calling the company. It has plenty of ZDDP and I've never had a problem. No additives needed. The racing oil doesn't have the needed additive packages to combat corrosion in a street driven engine. Great for the track, where it's dumped after a day of racing, but not so great in the crankcase for 6 months in a street driven car. You don't want to run racing oil in a street engine. It's designed for a completely different environment. Lot's of owner's seem to think this is the way to go, unfortunately. Yep. 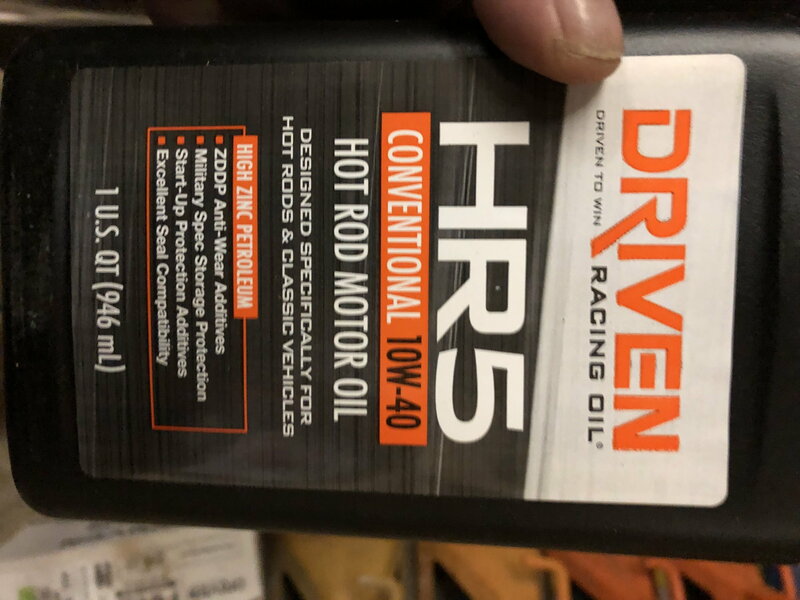 More is always better, and since a Corvette is a high performance car, racing oil must be just the ticket! Sadly, many owners of high performance cars feel this way. Oh well....it'll keep the parts houses and mechanics in business. I put racing oil in the same category as driving gloves. Nothing exudes coolness like gloves when you gas up at 7-11. Yeah. Flip-flops are really cool here in Florida too.